*Michelle Obama may be approaching 50 in a day or so, but getting older won’t impact her continuing focus on taking care and feeling good about the person in the mirror. So much so that she hasn’t ruled out going under the knife in the future. 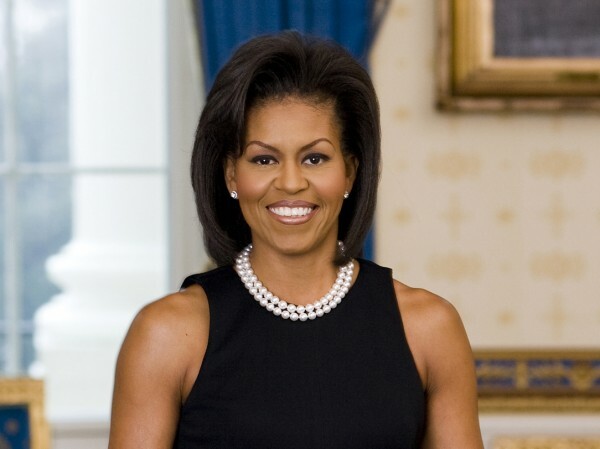 Mrs. Obama’s feel good mindset comes as the nation has watched her inspire people over the years with the way she maintains a healthy lifestyle. The first lady admits to having a colonoscopy as well as never missing health checkups that include pap smears and mammograms. She’s even revised her workout routine to feature yoga in an effort to keep her flexible. If her husband has anything to do with it, the first lady’s exercise regimen will be replaced by a bit of partying on Saturday to celebrate her reaching the half-century mark. According to reports, President Obama is going all out to plan a big birthday party for his wife at the White House. To keep the element of surprise, aides are being tight lipped. Party guests have already got the word to eat early before showing up and come prepped to dance. In addition, rumors have surfaced of Beyoncé making an appearance at the soiree to sing to the first lady. As it turns out the singer’s husband, Jay Z will be in town to perform at his Magna Carter World Tour. The outing will land at the Verizon Center in Washington on Thursday night, two days before the birthday bash. As for what she plans to do when age 50 hits, Mrs. Obama stated her desire to “keep figuring out ways to have an impact, whether as a mother or as a professional or as a mentor to other kids.